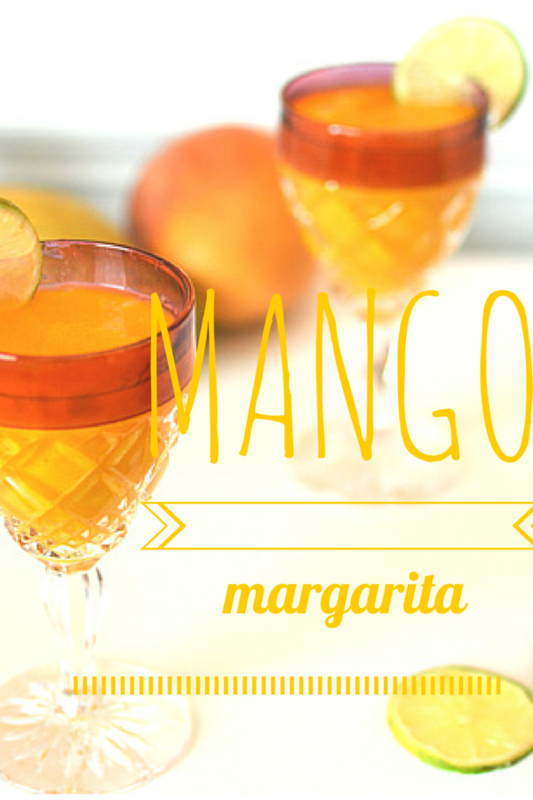 Design Addict Mom: Cool Down with Mango Margaritas. 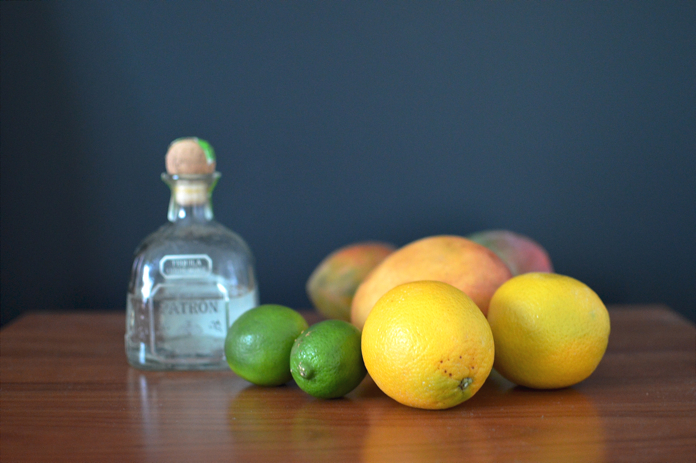 Cool Down with Mango Margaritas. We recently returned from a mini vacation in Florida and we loaded up lots of mangoes when we were returning home. In addition to making smoothies and mango chicken, we recently added mango margarita to the list of what to make using mangoes. I saw the recipe in the Summer issue of Good Housekeeping magazine that was waiting for me in my mailbox on returning home. I thought they must've known that I would be loaded with lots of mangoes and included that recipe just for me! Ha! 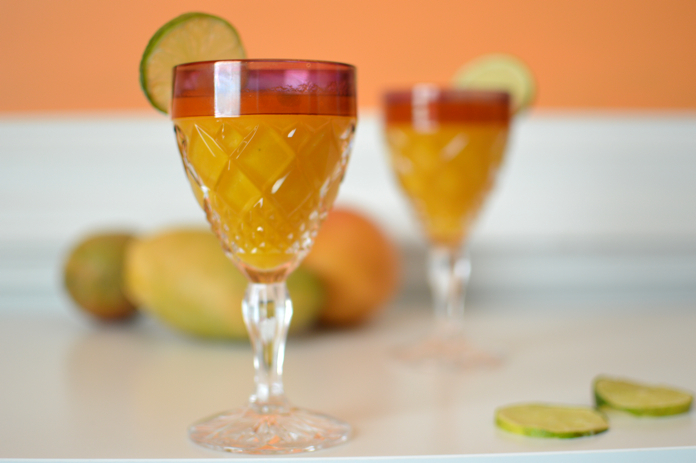 Blend 6 cups ice; 3 ripe mangoes, peeled and chopped; 3 Tbsp. orange juice; 2 Tbsp. honey; 2 Tbsp. lime juice; 1 tsp. grated orange peel; and 1 cup white tequila(optional). Serves 8. I love mango and this sounds delish! Yum! I have so much mango and wish we had tequila!